- Fugler i Lofoten (1997 – only in Norwegian), now out of print. - Lofoten Nature (2007)– a short introduction to the natural history of the Lofoten Islands. Main text in Norwegian and English with summaries in German, French, Spanish and Italian. - Birding the Islands - a Birdwatchers Guide to Lofoten and Vesterålen (2017). 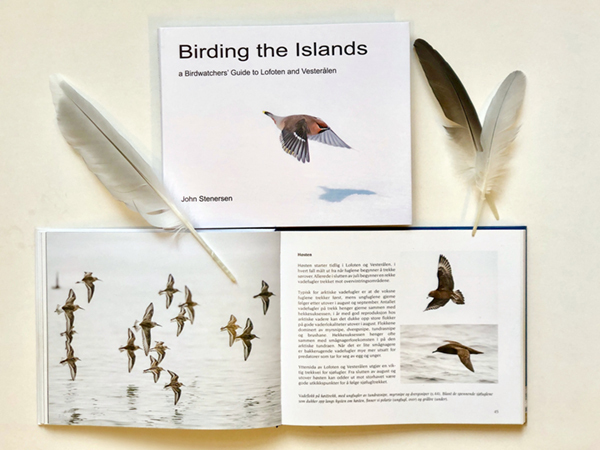 Richly illustrated birding guide with maps and hotspots for the Lofoten and Vesterålen Islands. The book is available in both english and norwegian editions. © tringa as - John Stenersen. All use of content from these pages must be cleared.